This blog post aims to provide inspiration of what kind of location-based projects you can do with Matchmore. Earlier this spring, we were able to test our context-aware technology in a master class at HEC Lausanne. Groups of students came up with location-based solutions for mobile apps. The students also created and built the apps using our technology. How about a Smart Parking Finder? Or a Lost & Found app? This blog post will present 5 different ideas in order for you to get some inspiration of what you can create yourself. Let the inspiration flow! The idea behind the Ayuda app is to match people who need help with something, with people within the same area who can assist in helping. Examples of help cases are basic health care, academic help, basic house service, technical help or office assistance. 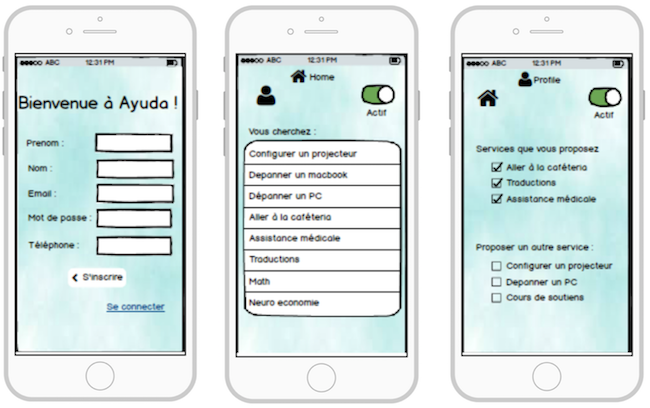 As a user of the Ayuda app, you will create a personal profile as a first step. When you have your profile, you can publish that you either search for help, or that you offer help. Let's assume you create a profile and that you are looking for someone to help you to configure your projector. You will receive an overview of the people in your area who could provide you with this help. After you decide who you will ask for help, it's easy to start a conversation and decide on time and place for the assistance to take place. This app is a perfect idea on how you can use our technology in a useful way. The goal of the Competish app is to facilitate socialization through different activities, within in a certain area. Examples of activities are tennis, ping pong, chess or any other activity where you can compete against other players. As a first step, the user creates an account. After the account is created, the user can choose what activities he/she wants to play and in the same time broadcast his/her location. Nearby users will get a notification that the activity is available and can decide to accept the match or not. When there is a match in activity and location between players, they can start a conversation on where to meet and at what time to begin the game. Additional functionalities to this app could be to implement a ranking system and a scoring system. The app would also be able to match players based on ranking, in order to achieve close games. It could also be possible to create a network where you can add friends and chat with other players. The aim of the Lost & Found app is to help people to find their lost belongings as efficiently as possible. As a user of the app, you will be able to publish your lost things as well as publish things that you have found. Other functionalities of the app could be to check the status of your found items. Also, it would be possible to track the found items real-time, if there was a match between the lost and the found item. The app would also provide in-app message possibilities to facilitate the hand over. This kind of app is very well suited for our technology. A common issue for many car owners living in any city in the world is to find an available parking spot. The idea behind this app is to solve that problem. 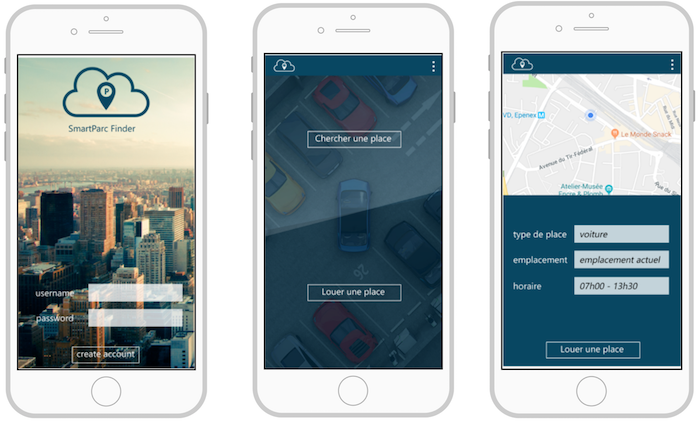 As a user, you can either find a parking place through the app, or you have the possibility to rent out your parking spot. If you are looking for a parking spot, you indicate what kind of vehicle you have as well as the preferred area and the needed time span. After the indicated preferences, the user will receive an overview of available parking spots. The user will be able to reserve the preferred spot in the app. Another functionality of the app would be to see an overview of the user's activity, both reserved spots and spots which have been rented out. 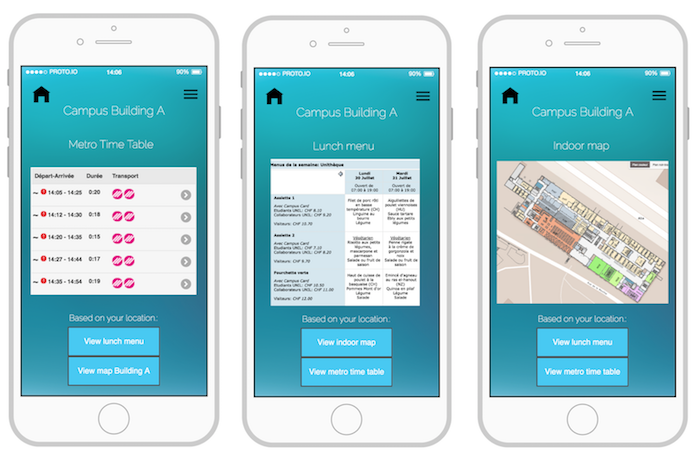 The goal of the UnilHub app is to deliver useful and important information to the user, based on his/her location on campus. The app tracks the user's position and will provide the information requested by the user. The user will be able to subscribe to categories, in order to filter what kind of information he/she wishes to receive. Functionalities included in the app idea is to be able to subscribe to certain categories, triggering smart notification and user's profile management. This solution can be applied to other areas as well. 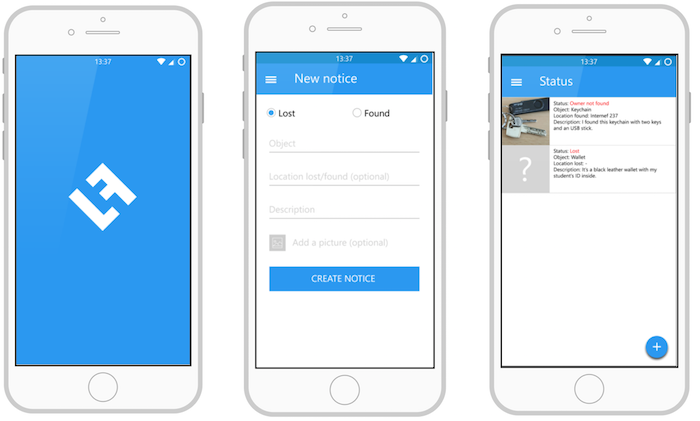 Read this blog post to find out how to build a location-based news app for Android using Kotlin and Matchmore. I hope you got some inspiration of reading all these location-based app ideas which you can easily build with Matchmore. Feel free to contact me at sofia.bjorklov@matchmore.com if you have a location-based idea for your business and you are not really sure where to start. Our software engineer Lukasz Mlynik will in this post explain how to build an app for borrowing things from neighbors nearby. The tutorial applies Xamarin and Matchmore, and requires Visual Studio to be installed on your computer. Get started today! 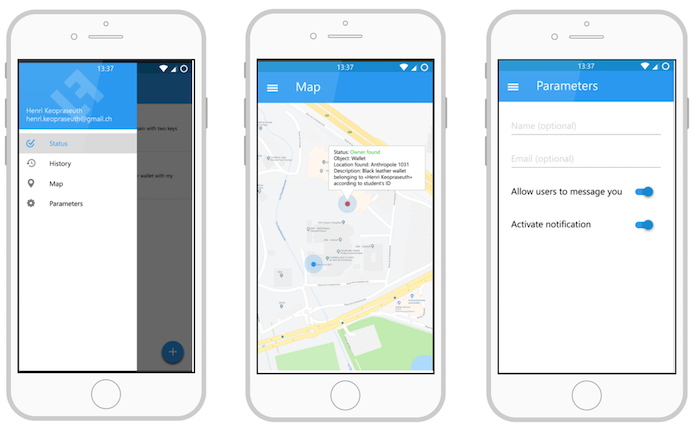 In this post, our Business Analyst Alpha Diallo will guide you through how to create a location-based news app with Kotlin and Matchmore. This tutorial is easy to follow and includes all important steps. Happy hacking!